My parents ask me weekly if I ever get sick of eating at Buffalo Wild Wings. The answer is always no, and I would bet that I’m not the only North Dakota State student who finds themselves with a strong hankering for wings every other night of the week. Any B-Dubs regular also knows wings aren’t the only things that the restaurant has to offer; I happen to be a very big fan of their fried pickles. 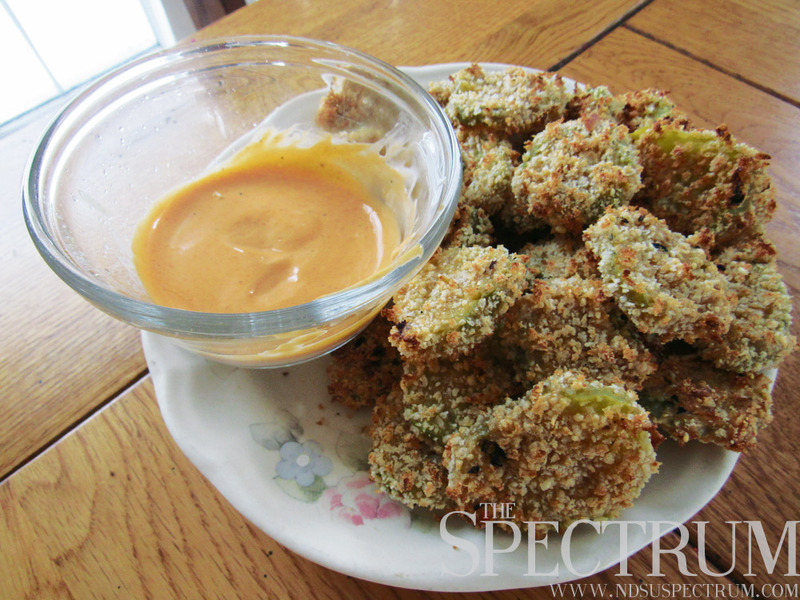 That’s why I pinned a great recipe for some imitation “fried” pickles. Heat the oven to broil on high. Place a cooling rack or something similar on top of a cookie sheet and spray it with nonstick cooking spray. 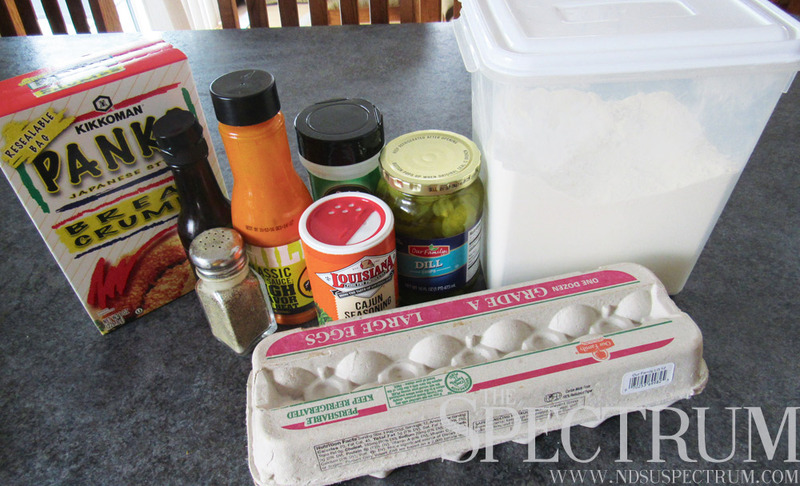 In a medium bowl, mix together the eggs, flour, Worcestershire sauce, hot sauce, Cajun seasoning, garlic powder, salt and pepper using a whisk. In another bowl, mix together the breadcrumbs and Parmesan cheese. Drain the jar of pickles and pat the pickles dry using a paper towel. 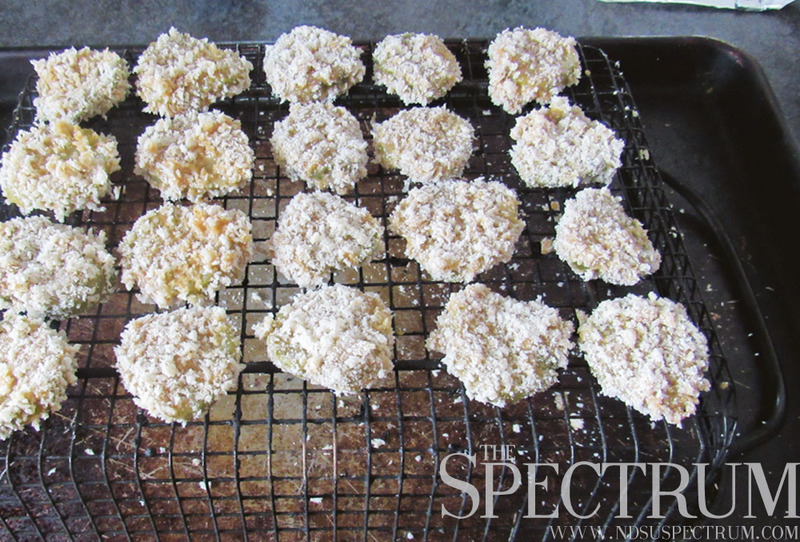 Dredge the pickle slices in the wet ingredient mixture, then coat evenly with the breadcrumbs. Set the coated slices on the cooling rack. Broil the pickles for about three minutes, or until golden brown, on one side, then flip them over and back for another two to three minutes. Serve them hot with some southwest ranch and enjoy!